Looking for a spacious four bedroom home in Pike Road school district? You have found it! From the eat-in kitchen with granite counter-tops overlooking the den with cozy brick fireplace and ceiling beams, to the updated bathrooms (master has double sinks, tub and separate shower and walk-in closet)this house is not your typical ranch. Featuring brand new HVAC, 4 year old roof, fresh paint, new kitchen back-splash, like-new laminate floors, a big laundry room with half bath, two car carport, patio and nice sized back yard, this Rolling Hills beauty is move in ready and waiting on its next family. Check it out today, what a deal! Marketed by Montgomery AL Realtors Sandra Nickel Hat Team. 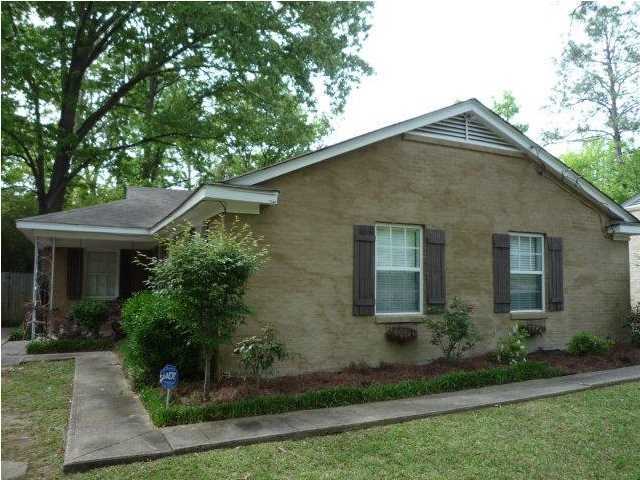 Montgomery AL Real Estate: All The Cloverdale Charm Without the Price! All The Cloverdale Charm Without the Price! Cloverdale charm without the Cloverdale price tag! Adorable and move-in ready with updated kitchen and bath, hard wood floors, new carpet in bedrooms and fresh paint. Nice back yard with privacy fence. Perfect starter home and convenient location. 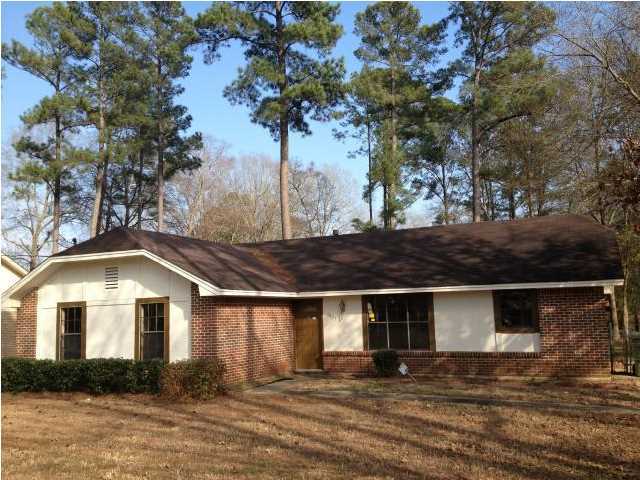 Montgomery AL Real Estate: What A Deal! What a deal! This spacious Woodmere townhouse has an open floor plan and a great kitchen. 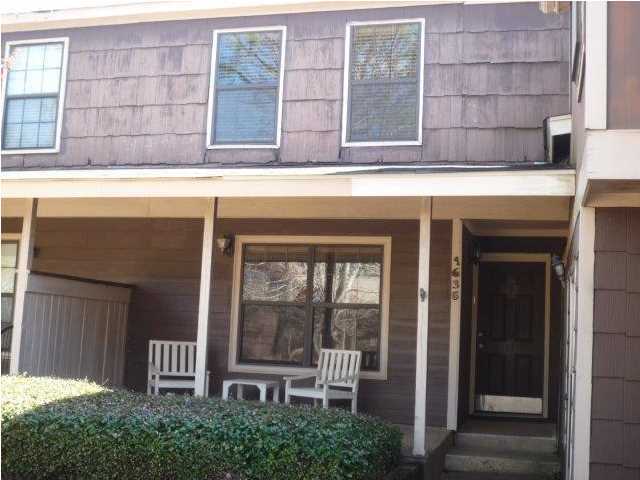 Great location convenient to I-85, restaurants, and shopping. Easy lock and leave property with little upkeep. Montgomery AL Real Estate: Bank’s Loss Is Your Gain! Bank’s Loss Is Your Gain! Bank's loss is your gain! The last Cross Creek house like this that sold went for $71,000 and you are guaranteed that seller will accept $62,000 on this one. Great shape and many extras like a computer room to keep your great room tidy. Don't miss out--put this one on your "must see" list today! Montgomery AL Home For Sale: Guest Suite Offers Lots Of Privacy! Lots of privacy even for an extended family! If you have an elderly parent, adult child, or other relative all living under one roof, this property was MADE for you! Spacious design includes a true mother-in-law suite with living area (kitchenette), bedroom, and bath on one end of the house. It even has its own separate entry! Other areas include formal living and dining rooms, den/family room open to breakfast area and kitchen. Large master bedroom with 3 walk-in closets and split design features two vanity areas, garden tub, and separate shower. Another bedroom and bath reside on the first floor, and there is a guest suite and private bath on the second floor. AND, don't miss the HUGE attic area that could be several more rooms, a home theater, work-out area, man-cave, and, of course, awesome accessible storage! Corner lot affords much privacy. 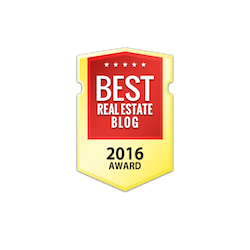 Montgomery AL Real Estate: The Best Of Everything! The best of everything...classic style and updated features! This beautiful federal-style 3 story charmer has elegant formal spaces and comfortable living areas. The custom-designed kitchen features high-end appliances and a chef's stove! Off the kitchen and family room is a BIG covered patio overlooking a private back yard with in-ground swimming pool. Master suite on 2nd floor runs the entire width of the home and has cozy seating area with fireplace. Access the 3rd floor from a spiral staircase and find a wonderful split design AND full bath, making a great teen retreat, rec room, home theater, or tons of upscale storage. Detached 2 car garage affords additional storage and great off-street parking. Montgomery AL Home For Sale: Charming Craftsman Bungalow! 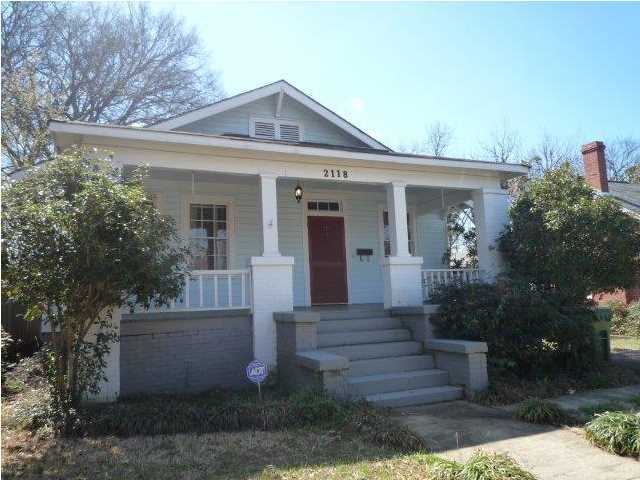 This charming Craftsman bungalow is the perfect representation of Capitol Heights! Starting with the awesome front porch, inside you will find beautiful hard wood floors, a huge eat-in kitchen and nicely updated bathroom. The bedrooms are spacious and one even has a huge walk-in closet. Put this on your list to see today. 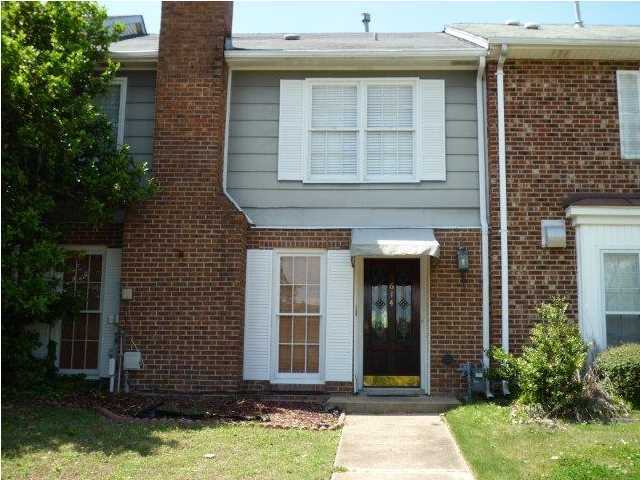 Montgomery AL Real Estate: Great Condo with Updated Kitchen! Great condo, convenient location! End unit that would be perfect for a first time home buyer or an investor. Updated kitchen and bath and a half. HOA dues include termite and pest control, trash disposal, water, grounds maintenance, insurance on exterior of condo and exterior maintenance. Fabulous Value In the Garden District! Fabulous value on family-size home! Move up and spread out in this good-sized bungalow with space for everyone in your family and all the stuff you've accumulated! Needs lipstick and rouge but this lady is otherwise ready for occupancy with relatively new central heat and air and a great floor plan. Walk to shopping, Alabama State and bus line just down at the corner. One of Lowder's best floor plans ever! 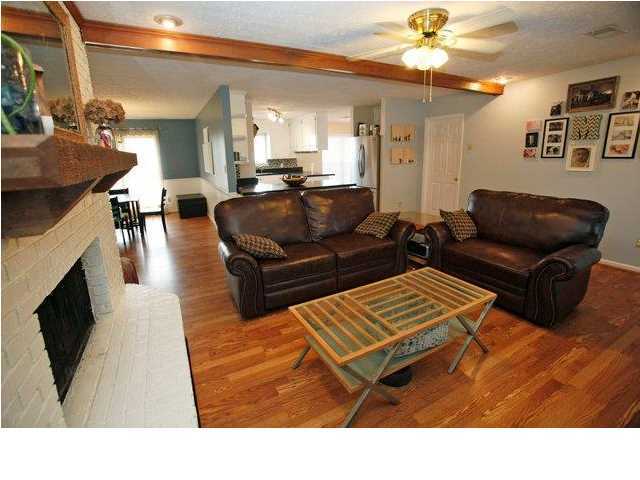 High ceilings and great layout make this the perfect house for entertaining as well as living. Formal living and dining rooms flow into open kitchen and breakfast room, with great den/family room off kitchen area with fireplace! Split plan means adults have privacy from kids, and the 4th bedroom makes a PERFECT home office/study! Attached two car garage means never having to endure the "elements" when leaving or coming home. Fenced backyard is large enough for any size pet and affords lots of "play" room. 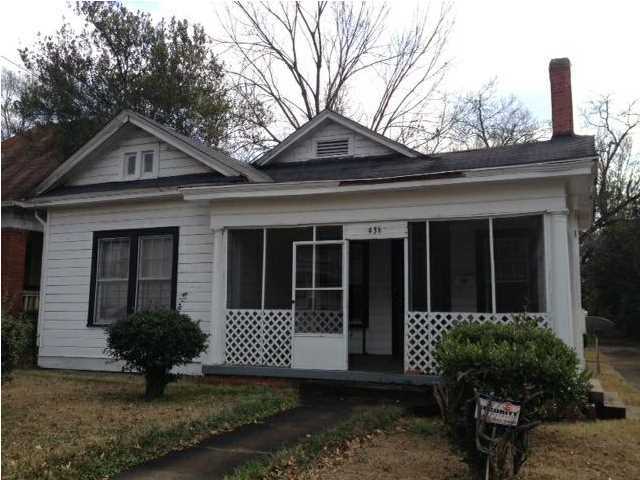 Location is smack in the middle of Montgomery, and So convenient to shopping, dining, and schools.